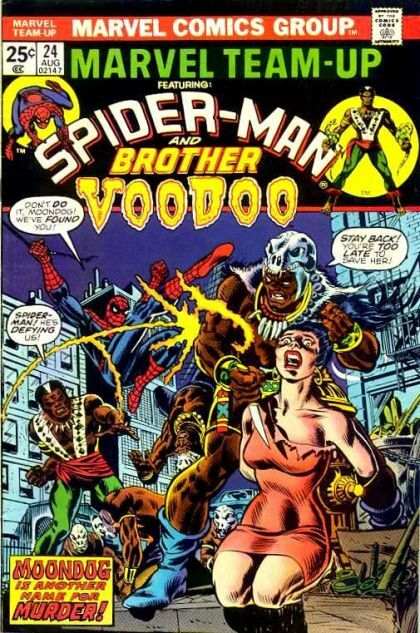 Spider-Man And Brother Voodoo: Moondog Is Another Name For Murder! Spider-Man runs into a gang of extra-strong thugs that he may not be able to manage, and is quickly and ably assisted by Brother Voodoo. He soon agrees to help B.V. deal with Moondog, an evil Loa trying to gain power.